Professor Ivy is the pokemon professor on Valencia Island (in the Orange Islands). She is a close friend of Professor Oak's. When Ash and the gang came to her lab, they came to pick up a mysterious pokeball. In that very same appearance, Brock decides to stay with Professor Ivy. To this very day, it is still not known why Brock left Ivy. 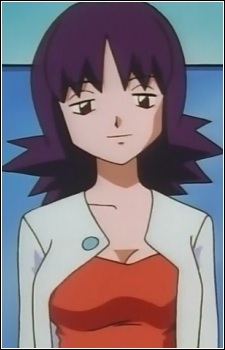 Professor Ivy made a brief cameo on the second Pokemon movie and was mentioned by name in the seventh movie in the English dub.